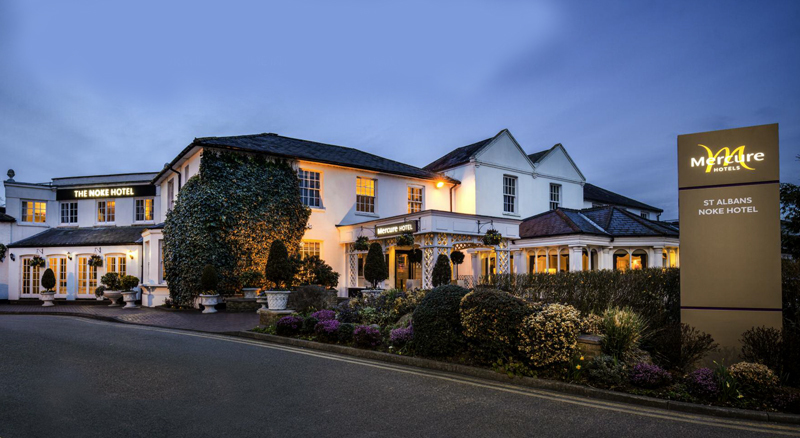 Mercure St Albans Noke Hotel is a traditional 4-star hotel situated on the outskirts of St Albans with easy access to the city centre and free parking for hotel guests. Noke Hotel has 110 bedrooms, 44 of which are deluxe rooms. With 6 meetings rooms and a marquee accommodating up to 250 guests, Noke Hotel is both suited to your business needs and makes the perfect wedding venue. Enjoy the on-site health and leisure club with pool when you visit St Albans for a relaxing weekend break.